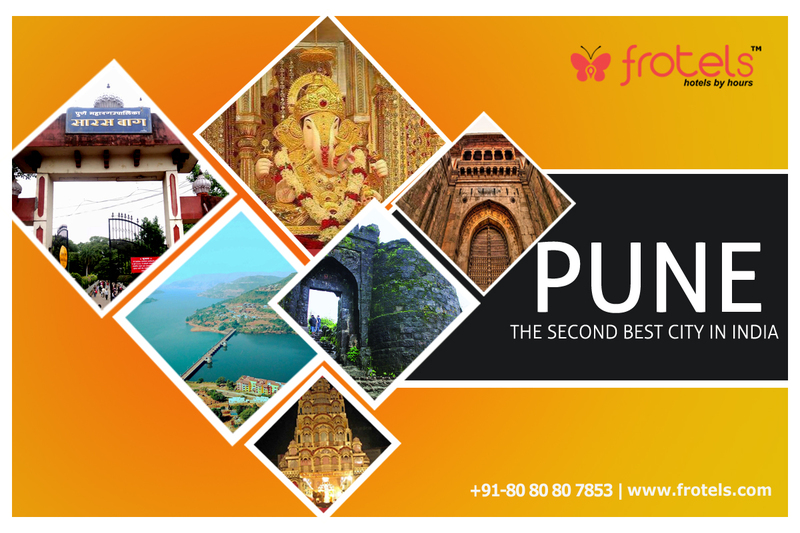 Pune is the second largest city in the Indian state of Maharashtra and the ninth most populous city in the country. Pune is a sprawling city in the western Indian state of Maharashtra. It was once the base of the Peshwas (prime ministers) of the Maratha Empire. It is a fort that stands as a testimony to the bravery of the Maratha warriors under the leadership of Tanaji Malusare, the general of Chhatrapati Shivaji. The fort lies 30 km southwest of Pune and the construction stands 800 m above the surrounding area. Strategically Sinhagad held immense importance in the Maratha regime as it is located right at the center of the series of other forts like Purandhar, Torna and Rajgad. The fort perches on a cut off cliff of the Bhuleshwar range in the Sahyadri Mountains. It’s altitude from the sea level is about 1350m. In Pune is dedicated to the Hindu God Ganesh. The temple is popular in Maharashtra and is visited by thousands of pilgrims every year. The temple is a beautiful construction and boasts a rich history of over 100 years. The construction is so simple that all the proceedings in the temple along with the beautiful Ganesh idol can be seen even from outside. The Ganesh idol is 7.5 feet tall and 4 feet wide. It is adorned with nearly 8 kilos of gold. The devotees of Lord Ganesh offer Him gold and money and with every offering the Lord gets richer and richer. The Shaniwar Wada was originally the seven storied capital building of the Peshwas of the Maratha Empire. It is a historical fortification in the city of Pune in Maharashtra, India. Built in 1732, it was the seat of the Peshwas of the Maratha Empire until 1818, when the Peshwas lost control to the British East India Company after the Third Anglo-Maratha War. Peshwa Baji Rao I, prime minister to Chattrapati Shahu, laid the ceremonial foundation of his own residence on Saturday, January 10, 1730. It was named Shaniwarwada from the Marathi words Shaniwar (Saturday) and Wada (a general term for any residence complex). Teak was imported from the jungles of Junnar, stone was brought from the nearby quarries of Chinchwad, and Lime (mineral) was brought from the lime-belts of Jejuri. Shaniwarwada was completed in 1732, at a total cost of Rs. 16,110, a very large sum at the time. It is a major landmark in the city of Pune in India.The place where the park now stands was once occupied by a small lake. The whole 25-acre (10 ha) complex is known as Saras Baug. The Ganesh temple in Saras Baug is also known as Talyatla Ganpati . The construction of the temple was completed in 1784 with the idol of Hindu Lord Ganesh in the temple.The temple was built in the lake near the Parvati Temple, which was also the primary residence of the Head of the Maratha confederacy. The temple was constructed within 3 miles (4.8 km) of Parvati Temple. Saras Baug is located within a km from Swargate bus station, which is a ground transport station for Pune, and 6 km from Pune Railway Station. It is also called Tanajisagar Dam, is a dam on the Ambi river about 50 km (31 mi) southwest of the city of Pune in western India. The dam was constructed in late 1950s for irrigation. It is about 50 km (31 mi) from Pune and about 180 km (110 mi) from Mumbai. The height of the dam above its lowest foundation is 63.56 m (208.5 ft) while the length is 1,039 m (3,409 ft). The volume content is 4,190 km3 (1,010 cu mi) and gross storage capacity is 303,000 m3 (10,700,000 cu ft). It is a private planned city being built near Pune.It is stylistically based on the Italian town Portofino, with a street and several buildings bearing the name of that town. A 25,000 acres (100 km2) or 8,000 acres (32 km2) project being developed. Although still in construction, the city of Lavasa has some distinct charms of its own, for example, the adjoining lakes, which although not suitable for boating, are nice for a simple view. A popular hotel management institute, Ecole Hoteliere Lavasa, is also situated here, having an authorised certification from the popular hotel management chain situated in Lausanne, Switzerland.